We are often asked about the tools of the tiny house building trade. What tools do I need to build a tiny house? What tools would you recommend? How can I build more efficiently? Well good news! Here is your one-stop-shop for everything tool related: the Essential Tiny House Tool Guide. Tools are extremely important as they allow you to be more efficient and to produce better results. But not every tool is required to build a tiny house, especially if construction isn’t your profession. So what tools do you need to build a tiny house? Below is a list of the best tiny house tools we recommend to get you started. We evaluated and tested multiple tools in each category to determine which performed exceptionally, while not breaking your budget. To find out how to save even more money while geting these tools, check out the Tiny House Design & Construction Guide. Not all tools are created equal. Some are designed to be used daily, while others only occasionally. Different tool brands cater to different types of users with price ranges to match. Understanding what your needs are and your budget will help you get the best tool for the job while not overpaying. Professional grade tools are typically made from higher quality materials and made to take more of a beating, be used more often and last much longer. They normally have a better power cord and if they are cordless their batteries last longer. Brands to look for in this group are Dewalt, Ridgid, and Milwaukee. Consumer grade tools are normally a lot less expensive but at the same time are made with a lesser quality of parts. They are not expected to be used on a daily basis. Now, don’t get scared off here, as most of the tools in this group will be fine for the duration of your tiny house project. Some of the brands in this group are Black and Decker and Ryobi. Everyone likes to go out and get something brand new. It is fun and exciting to open the box and take something out of the packaging. There are other added benefits that come with buying your tiny house tools new as well. First of all you know exactly what you are getting when you make that purchase. You also know that you are getting a full warranty. Don’t forget, the world is your oyster. You can buy any tool from any store, and if you decide that you are going to resell the tools after you are done, you are going to get a good resale value out of tools that you have only used for one project. The only detractor from this happiness is that you have a higher out of pocket expense up front. Remember though, you will be able to get a pretty good resale value. A quick thought on tool sales. If you think it is too good to be true it probably is. Be very careful around Father’s Day and Christmas because many of the higher grades of manufacturers will dip down into the lower qualities of tools, providing a lower quality product in order to sell more of it. 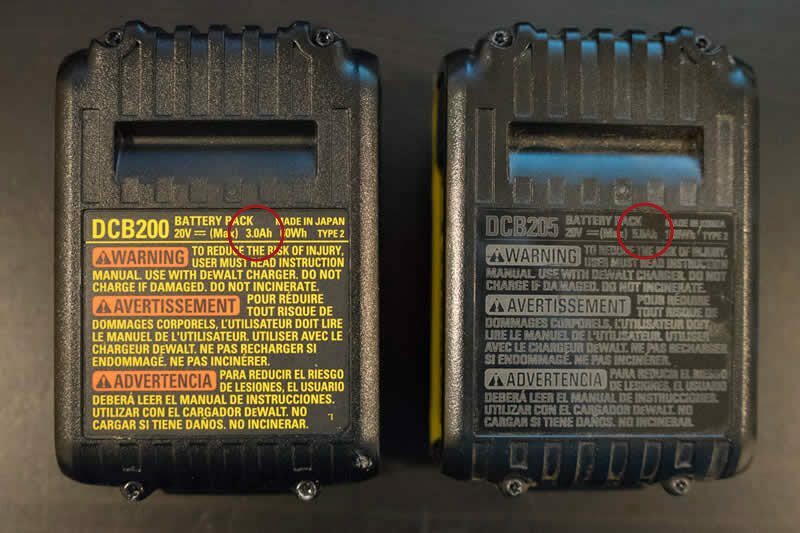 There are times where you can get lucky and a company like Dewalt will just eliminate a few of their features on a professional grade product and sell it to the consumer audience. If you are ok with the limitations, go for it. So you need to save every penny you have? Well, used tools are where it is at for you. Obviously cost savings is the primary advantage here with the other being the resale value. You certainly won’t get as much as you would have from one time used tools, but you aren’t going to put much wear and tear on them in the year or less that you use them, so you can probably sell them for almost what you paid for them. The negatives here are that your selection is entirely based upon what you can find, there is probably no warranty included and you could be lied to by the seller and your tool might not work to its best ability. If you are looking at hand tools, some of the brands like Craftsman have a lifetime warranty so there is little worry about something breaking. If you are looking for resources for used tiny house tools, check out pawn shops, eBay and Craig’s List. There are plenty of good deals to be had the local garage sales, too. When it comes time to unload your tools at the end of the project, consider donating them to a charity and take the write off on your taxes. You may be able to get more money back than what you spent for them. When you decide to cut the cord for the first time and go cordless on your power tools, there are a many choices that can be deceiving. Believe it or not, most of the choices are based around the cordless battery that the tool comes with. If you want to change your battery less and have enough power for the job, consult the following essential guide to power tool batteries. When I started working for Dan, I told him that I did not own even one cordless tool. My reason being is that cordless tools never seemed to be as powerful as corded tools and the battery life never seemed to be that good. “Times have changed,” Dan told me. On our next trip to the Home Depot, I found out just how much. NiCad power tool batteries are older and are being phased out for good reason. NiCads are noticeably heavier and they will discharge if they are left without being used. They also have “memory,” which means that your battery will charge less and less the older it gets and will lose charge faster based on usage. In other words, if you don’t use it, you lose it. Lithium Ion power tool batteries are lighter, hold their charge while lying dormant and don’t lose power as they get older. It is crazy to think that they still make NiCads at this point. What really determines the “power” or “life” of a battery really doesn’t have anything to do with the type of battery, it has to do with the size. This is pretty straight forward: the bigger the voltage the stronger the tool is going to be. The bigger the amp hours, the longer it is going to run. When it comes to voltage there are really three values that you will see often. 9.6, 12 and 18/20 volts (you will also see 40v and 60v for lawn equipment). The only difference between the 18v and 20v is marketing. If you see an 18v it is nominal voltage (voltage under load) and if you see 20v its maximum voltage (voltage not under load), but they are both the exact same. If you are getting ready to build a home and considering tools, steer clear of the 9.6v and the 12v. The 18/20 is sturdier and will get you through the project more smoothly. Amp Hours are a big deciding factor on what the price of the battery and typically hard to find as most brands don’t normally advertise it. You will normally find 1.3Ah, 1.5Ah, 2Ah, 3Ah, 4Ah, and 5Ah. Many cheaper power tools that come out on special sales are accompanied by a very short battery life. Some companies even go as far as to not label the Amp Hours at all and will actually make you do the math. Simply divide the Watt Hours by the Volts to figure out how many Amp Hours you technically have. If you are working with a decent amped battery you can probably get away with just one extra. But, if you have multiple tools that take batteries best to have one for each tool and then one extra as well. Make sure you keep this all in mind when you look at Black Friday / Memorial Day / Father’s Day ads. 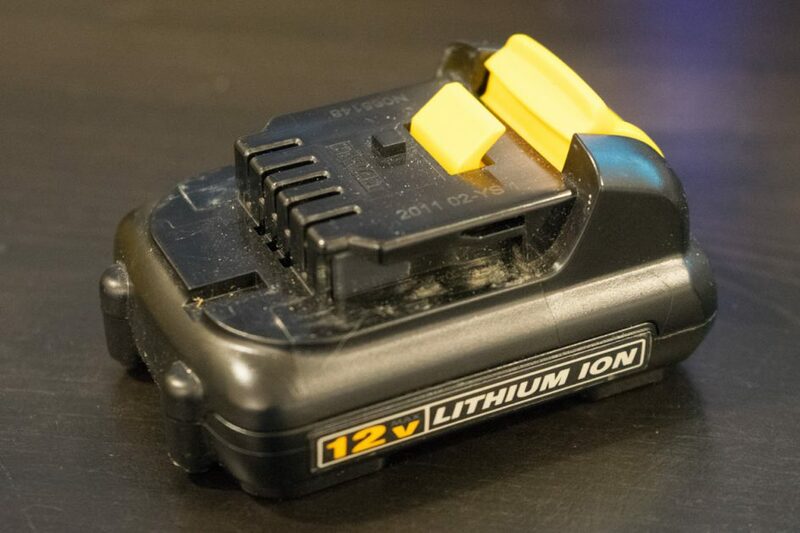 Many companies will be giving you a great tool and then a tiny battery to go along with it. When you purchase a tiny house tool using the affiliate links above, you support our work as we may receive a small commission from each sale. All of the products listed above are independently evaluated and selected by Dan Louche and our builders. We have not been compensated in any way to influence our picks.